You must have seen a number of small kitchens that look great and are highly functional too. If you wonder how you can bring both these elements to your own small kitchen, here are some useful tips for you. A small kitchen straight away signifies limited space, and stuffing such small spaces with big things is not a good idea. For example, adding closed cupboards to small kitchens make space appear claustrophobic. On the other hand, choosing open cupboards is an efficient solution that saves space while providing ample storage space in the kitchen. Moreover, one gets an opportunity to put fancy crockery and jars on display with open kitchen cupboards. If you are creative enough, you can easily make up for the lack of space in your kitchen. 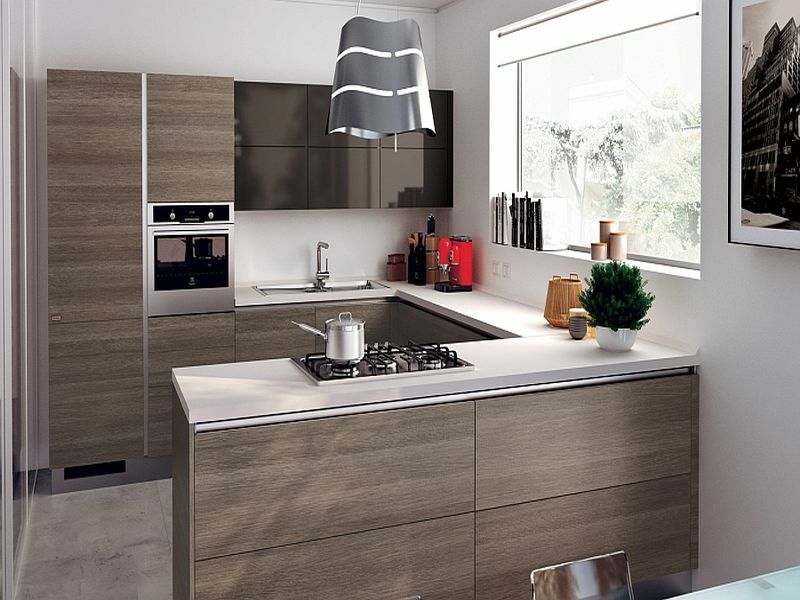 You need to create a fantastic mix of metals, wood and other surface materials that together enhance a kitchen’s appeal. Additionally, you can play with colors and myriad lighting options to make your kitchen as beautiful and inviting as any other big kitchen. 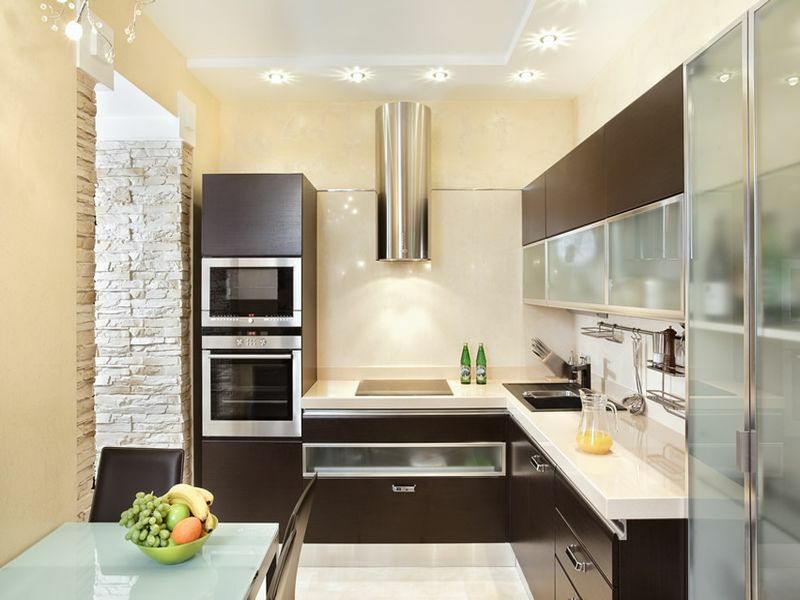 Appropriate lighting plays a big role in making kitchens beautiful and functional altogether. You need to create an ideal combination of task and atmospheric lighting in your kitchen. To make the countertops shine, you should install incandescent lighting underneath the upper kitchen cabinets. To make the cabinetry stand apart, go for ceiling incandescent spot lighting. Pendant lights can be the options you can count on for highlighting the eating area or the work island. Adding attractive flooring can take your small kitchen’s aesthetic appeal to a next level. You can even consider installing some expensive flooring for there is just a small area to cover. To create a unifying look, you must consider the rest of the elements in your kitchen as well. For entertaining your guests in the kitchen, seating is essential. 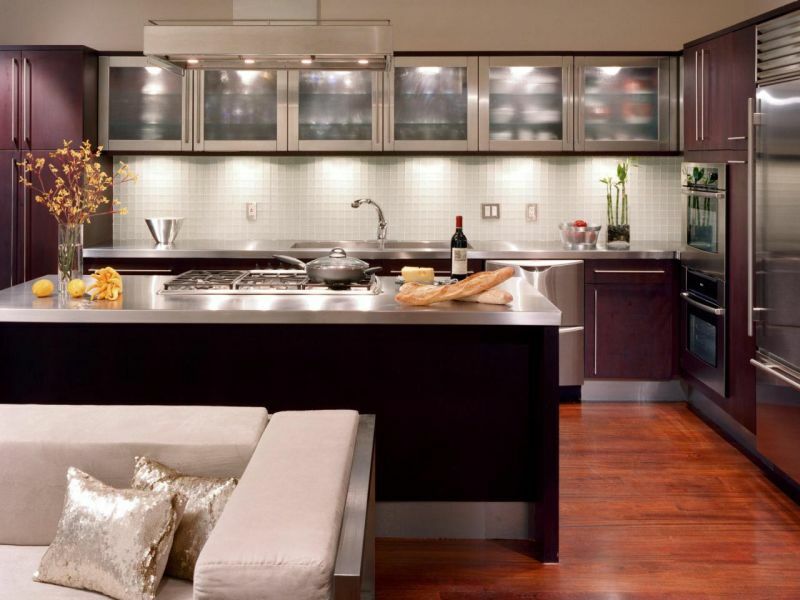 However, keeping dearth of kitchen space in mind, you should opt for moveable kitchen seating. You can have benches and chairs in your kitchen when needed, and keep them back in the living room or wherever when not required. In case, you desire fixed seating in your small kitchen, then that has to be a tiny seating. If you don’t actually have big space availability in your kitchen, you can always create an illusion of the same. Besides installing see-through kitchen cabinets and glass doors, you can place mirrors wherever possible. It is one of the most effective ways to make a small kitchen look large. To hide the lack of space flaw of your kitchen, you can add bright hues and eye-catching accessories. As you take up the level of decoration in your kitchen, the flaws will automatically come down. You can create focal points that will take all the attention, leaving little or no attention for the lack of space. Add a multi-colored backsplash to your small kitchen and see how it adds brightness and interest to it. The more simple and streamlined you will keep it, the better and more appealing your small kitchen would be. On the other hand, trying to add in unnecessary stuff and incorporating too many focal points can make your kitchen overwhelming. Therefore, while keeping it simple, have just one or two focal points in the entire kitchen. As far as the accessories are concerned, go for minimal artwork on the walls and place few plants if the space around the window or some corner allows. 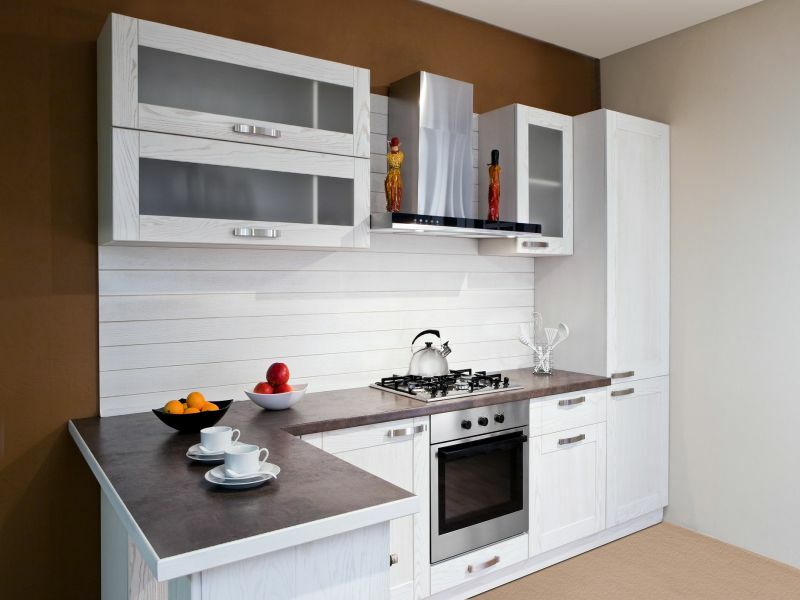 Small kitchen space can be a problem but not for the ones who lack dearth of creative design ideas. Such people end up making their small kitchens as beautiful and functional as the large kitchens are.